Far too many people feel like they need to choose when to travel based on the season outside. If you think that you will find more things to do in the warmer months, it's time to take a look at some of the best four-season resorts in Canada like Royal Harbour Resort. The best thing about this resort is that it doesn't limit what you can do to just a handful of things because of the weather or the temperature outside. No matter when you decide to visit and buy a timeshare, you'll find dozens of things to do. 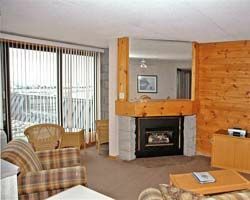 Before you look at all the things that you can do after buying one of these Georgian Bay timeshares for sale, you really need to decide on the accommodations that are right for you. Royal Harbour Resort knows that different types of travelers need varying degrees of space, which is why it offers both smaller studios and larger suites. Studios are cozy enough for two but can sleep up to four and come with a small kitchen that features cooking equipment and appliances. Its larger suites have two bedrooms, an open floor plan and even a large fireplace right in the living room. You'll also love sitting outside on your own balcony. The Blue Mountain region of Canada features a number of fun and exciting things to do. Guests traveling in the winter love snowboarding, skiing, cross-country skiing and curling up next to the fireplace with coffee and hot chocolate. Hiking trails and horseback riding will appeal to those who love the great outdoors. Royal Harbour Resort is conveniently located near activities like kayaking, fishing, shopping, zip lining and golfing. You may want to bring or rent a car to check out one of the scenic drives near the resort, too. On-site is a sauna, computers connected to the internet, a movie rental counter and a game room. Once you buy one of these Georgian Bay timeshares for sale, you'll want to share your timeshare and this resort with family and friends. Contact RVI Holiday Club / Royal Harbour Resort Specialist Today! Days: Sunday / Time: 5:00 P.M.